The song is one of three bonus tracks featured on the just-released deluxe edition of the band’s 2015 self-titled debut, which presented covers of classic tunes by T. Rex, Jimi Hendrix, Led Zeppelin, The Doors and more. “As Bad As I Am” is joined by covers of The Who’s “I’m A Boy” and Love’s “7 And 7 Is” on the expanded release. Led by the trio of Alice Cooper, Johnny Depp and Aerosmith's Joe Perry, the group delivered the new single on the Grammys broadcast that also saw them pay tribute to late Motorhead frontman Lemmy Kilmister, who passed away at his Los Angeles home on December 28. 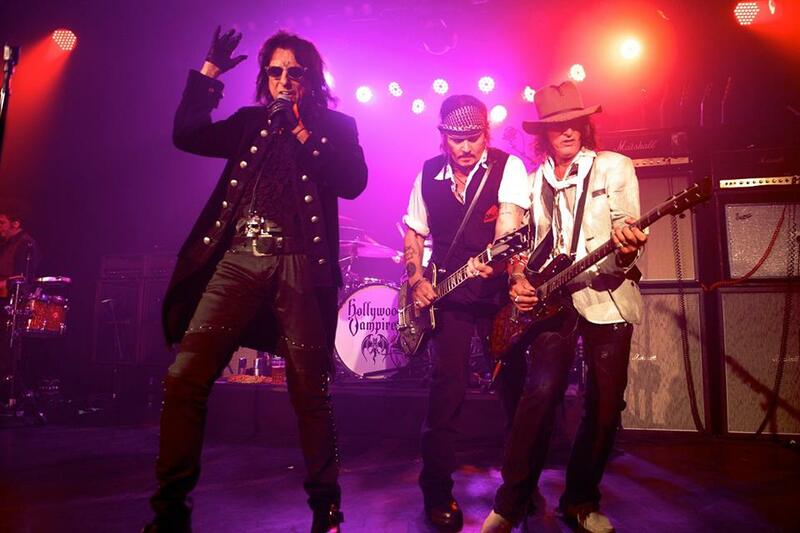 The Hollywood Vampires have also announced their first US concert of 2016, reports Rolling Stone. The group will play the Turning Stone Resort Casino in Verona, New York on May 24. After the show, the group will head to Europe, where they will play Lisbon, Portugal's edition of the Rock In Rio festival on May 27, and a headlining appearance at Cadott, Wisconsin's Rock Fest in July. "We have to carefully schedule the Vampires," says Cooper. "That's because you have Johnny's movie schedule; you've got Aerosmith; you've got Guns N' Roses and you've got me! “It's five entities going in five different directions. To get those guys all at one time when we're not working is really unique. So everybody looks at their calendar, and you have to find that two weeks where everybody's off."